I’d love to write a blog post about every day we have spent here. But that’s probably a little much, even for the most loyal of fans. So I figured the best way to do it was to show you some pictures we took, and try to tell you a little bit about them as if we were just chatting and having coffee. So sit back and enjoy our coffee date! Frida Kahlo is one of Mexico’s best known artists. I’m not sure if she’s known more for her paintings, or her tragic but fascinating life plagued with illness and injuries, or her famous husband, another Mexican artist, Diego Rivera. Her life is now illustrated in the museum that is the house where she lived most of her life. Indeed, her father built the house and she was not only born there but she died there. Plus her urn is located in the house, too. We got all kinds of great advice on TripAdvisor about skipping the line and buying tickets ahead of time. So we were able to get in quickly, and they had the very logical system of being able to scan tickets directly from the email on our phone (a printer does not fit in a suitcase!) 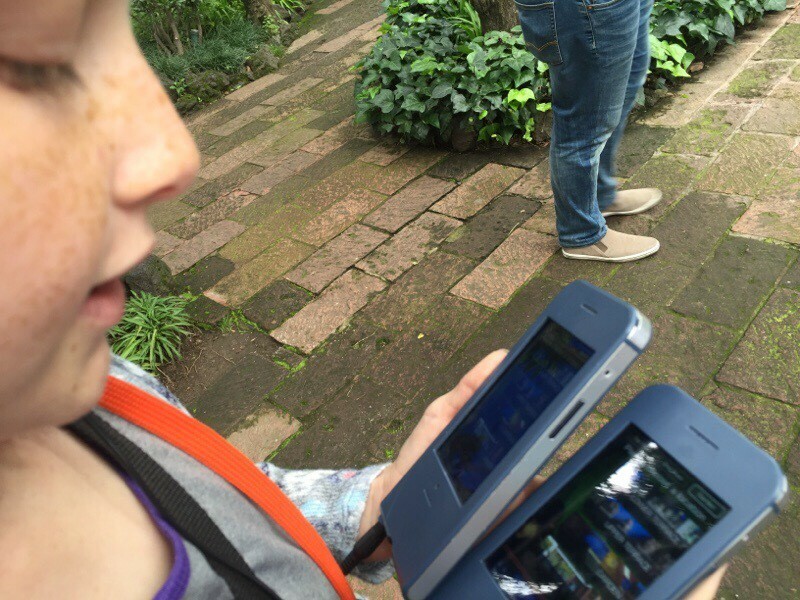 and soon we were renting the audio guides for the tour. The audio guides were very well done. They were iPod-like touch screen devices in hard cases, with a neck strap and earphones. You could choose your language, choose the room you want to hear about, go there and press play! Each little explanation snippet was about a minute or two, sometimes it included additional pictures, and then you move on to another part of the room or house and play that explanation. It allowed you to go at your own pace through the house, but best of all it was a quiet experience. It avoided having to listen to tours in three languages from a heavily-accented tour guide who means well but frankly takes a lot of energy to understand. Zoe especially tends to tune out with those. This is one of Frida’s paintings. 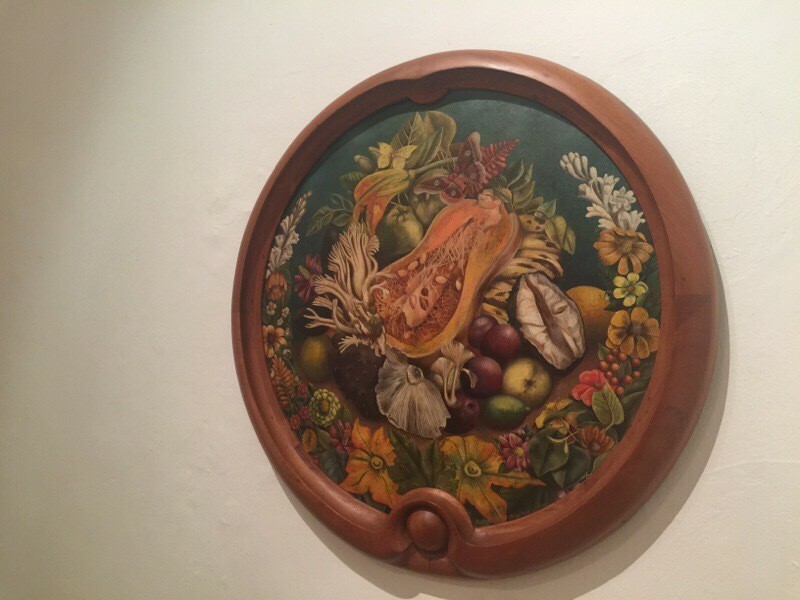 She was asked to create something for a kitchen of the President’s wife, but this womb-shaped frame with female reproductive imagery in the fruit was not what the first lady had in mind so it was rejected. 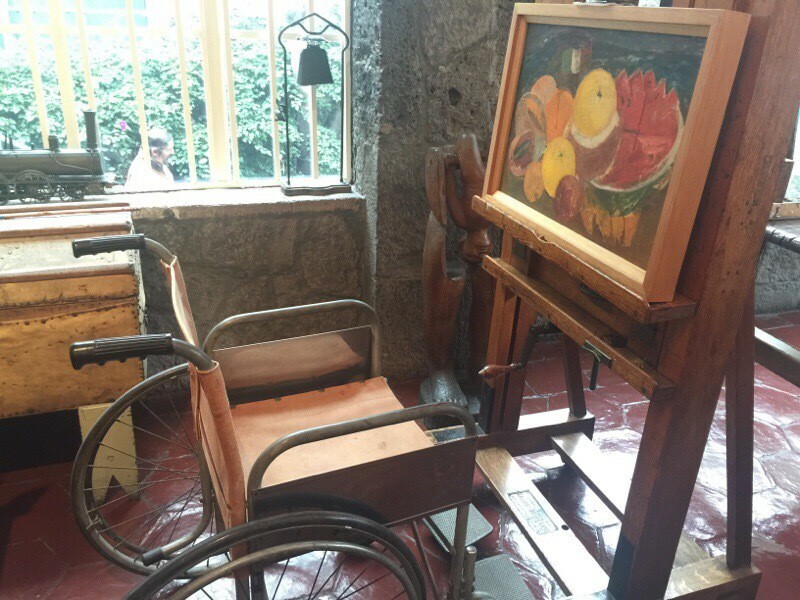 Frida’s wheelchair in her art studio. Zoe and our “iPods” during the tour. I was really impressed with the audio tour. It was really well organized and very informative. 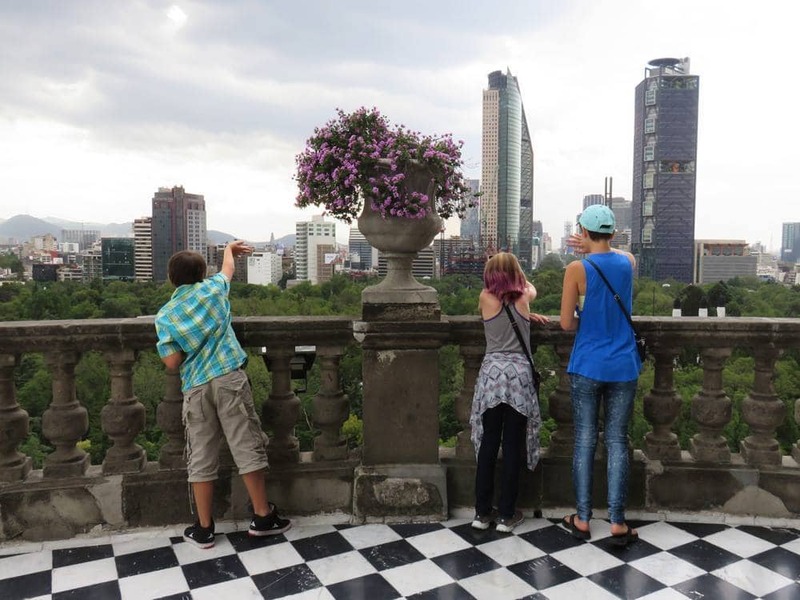 I mentioned this park in my first blog post on Mexico City but it deserves more press. We spent two separate days there and still only visited one section, out of three. We met up some fellow Worldschoolers from Argentina that we met in Playa del Carmen and enjoyed spending the day with them. 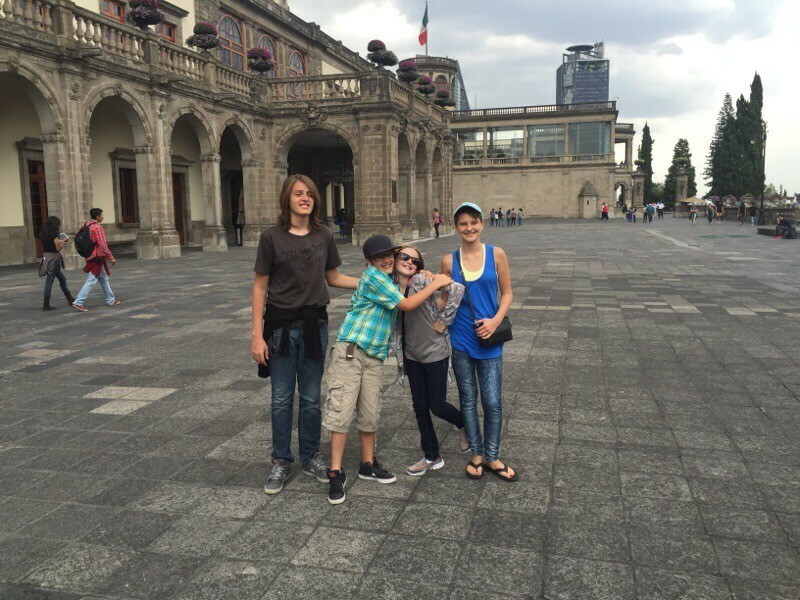 They have lived in Mexico City for quite awhile and their kids are very educated in Mexican history, so we were treated to a very nice tour of the castle, which used to house the governmental leaders of Mexico as well as a military school.. 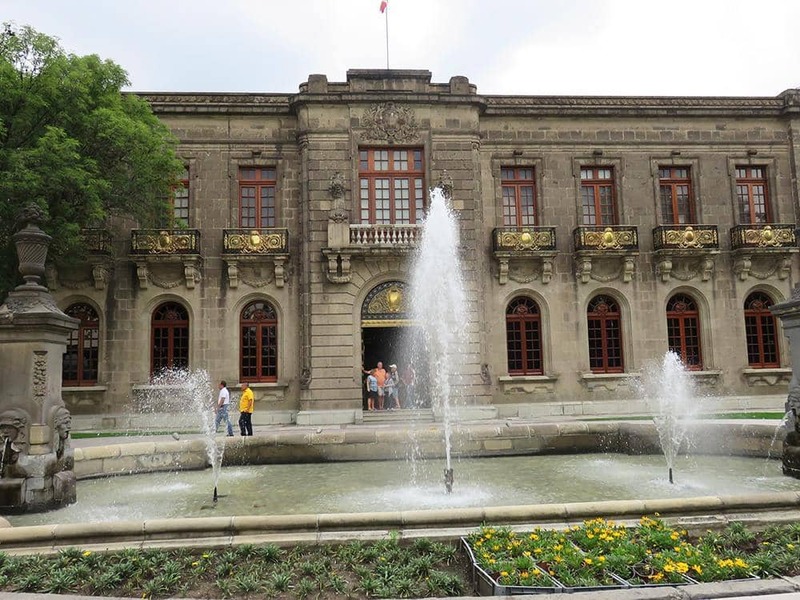 It is now a museum and was a small look into Mexican history. Another day the girls and I went back to explore some more. 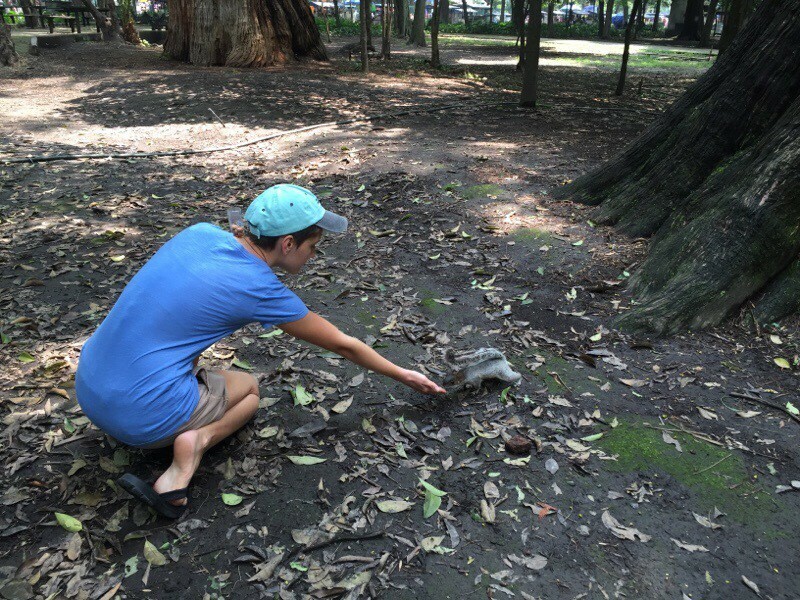 We got sidetracked for about an hour with the tame squirrels, but sometimes you just have to relax and feed squirrels. The museums can wait. But after the squirrels gorged on the nuts, we wandered into the zoo, which was free. 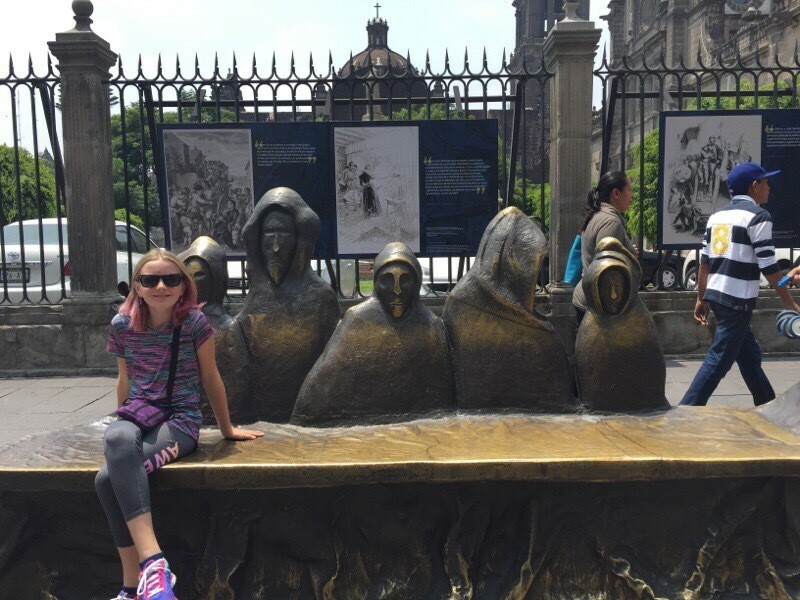 We normally aren’t big fans of animals in captivity (an argument I used to successfully avoid the underground aquarium in Mexico City) but this time it was free so we justified that we weren’t really supporting them. The zoo was mildly interesting but after awhile we realized it wasn’t too much that we hadn’t seen before, so we moved along. Exploring large parks can be exhausting. When Haley started whispering “Mom, I actually think I’m dying of exhaustion” I decided we should go back to the leaning flat and relax. Well, as much as you can relax in a leaning flat in an earthquake zone. Yeah, I’m still thinking about that. 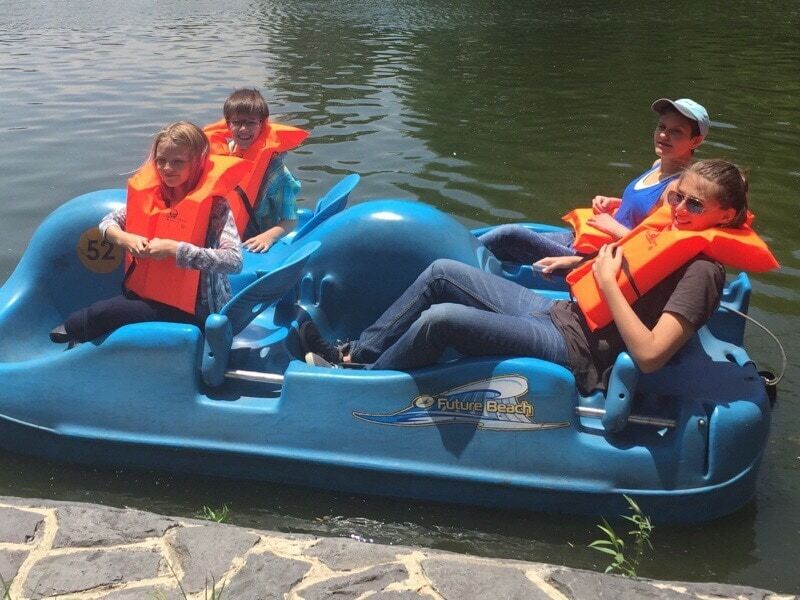 Paddle boating with Worldschooling friends. The younger kids from each family share the same concept of personal space boundaries, as you can see. A gift to Mexico from Russia. Thanks, Russia! It’s purdy! You can see how the castle is in the park, which is in the city. The kids were waving at some people below. Martin is educating Dan and I about the castle. He’s a great guy to have at museums! 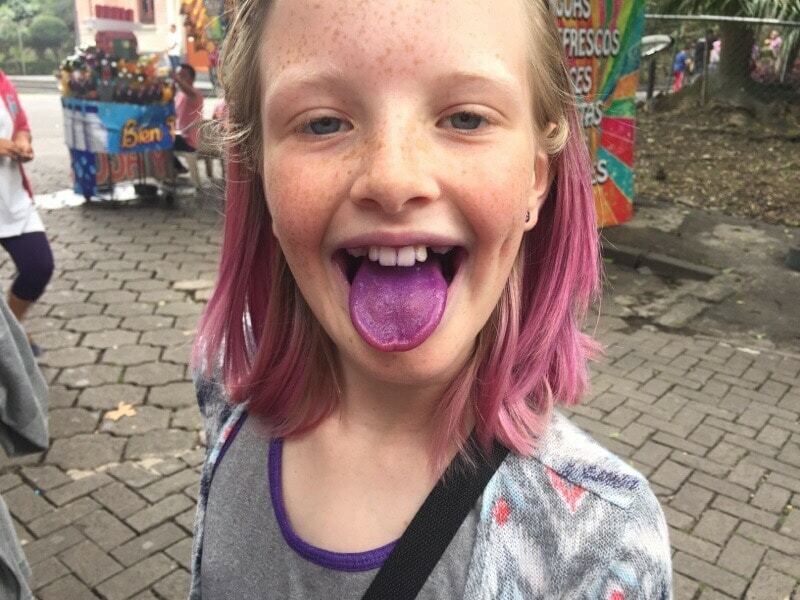 Zoe ate cotton candy that matched her hair. 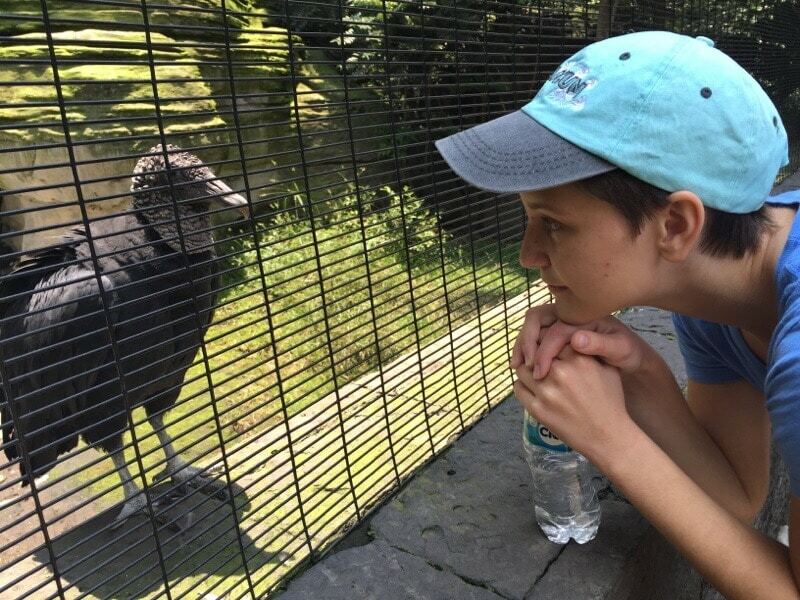 Haley is bonding with a zoo bird. 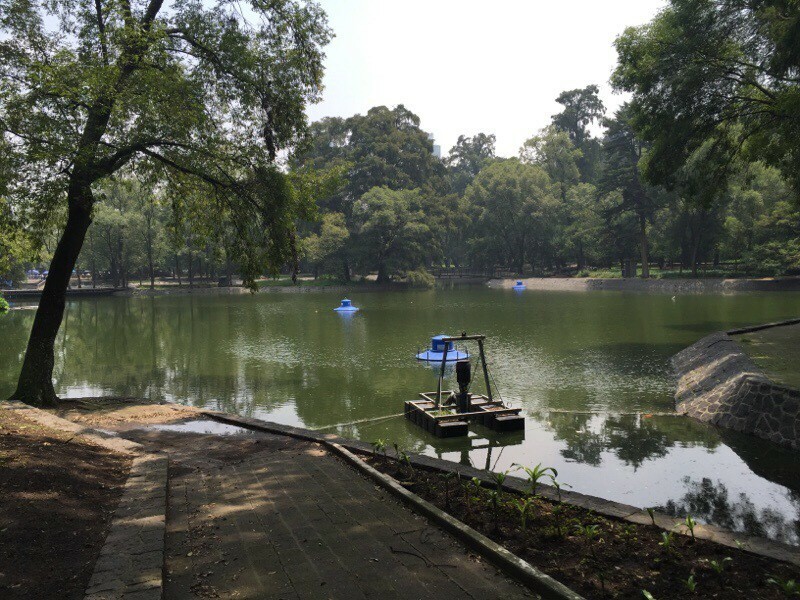 One of the lakes in the park. 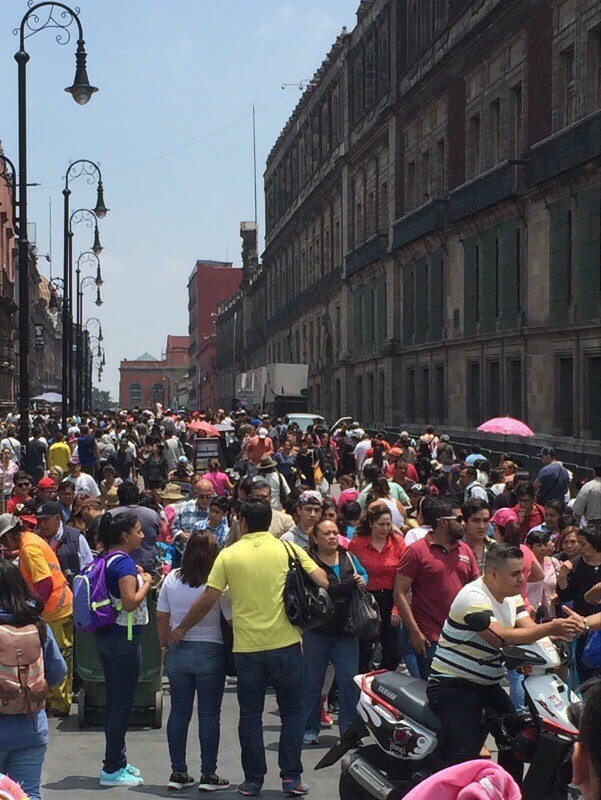 We did this kind of bus in Puebla too, and we affectionately call it “Hop On, then Hop Off and Call Uber” bus. It sounds so good on paper: “We will get the day pass and we can tour the entire city for the whole day! Yay!” Well, in reality it’s a slow method of travel, there’s a lot of waiting at bus stops and in traffic and when it starts to rain it’s just not so fun on that top deck. But for the few hours we did it, it was interesting. Here are a few scenes from the day. We hopped off at the main square. Evidently a few thousand other people thought the square was a good place to go too. The crowds were a challenge. This wasn’t even the square. It was a road leading to the square. Another leaning building. Look at the door frame, upper right. 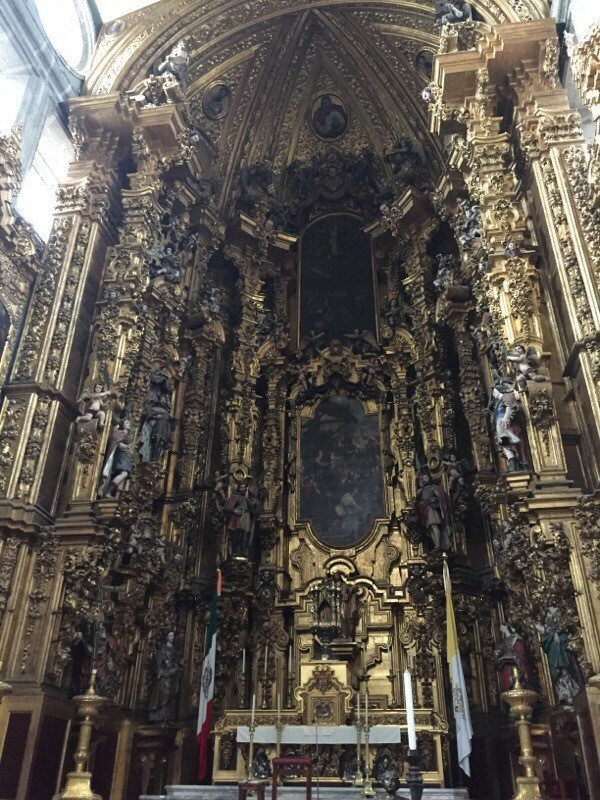 This is the inside of the church at the main square. Some serious lean there. I tried to get my level out but the kids begged me to stop the madness. 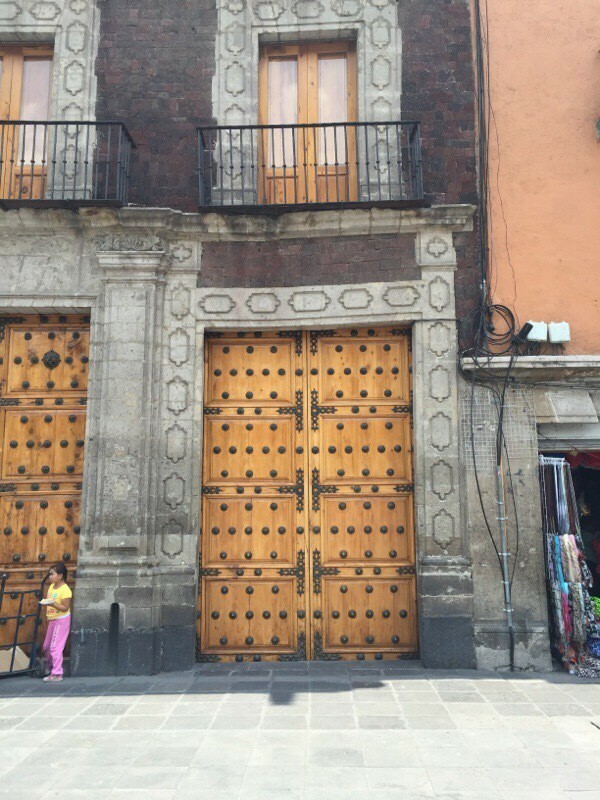 From the Baroque museum in Puebla we learned that during that period they feared empty spaces. 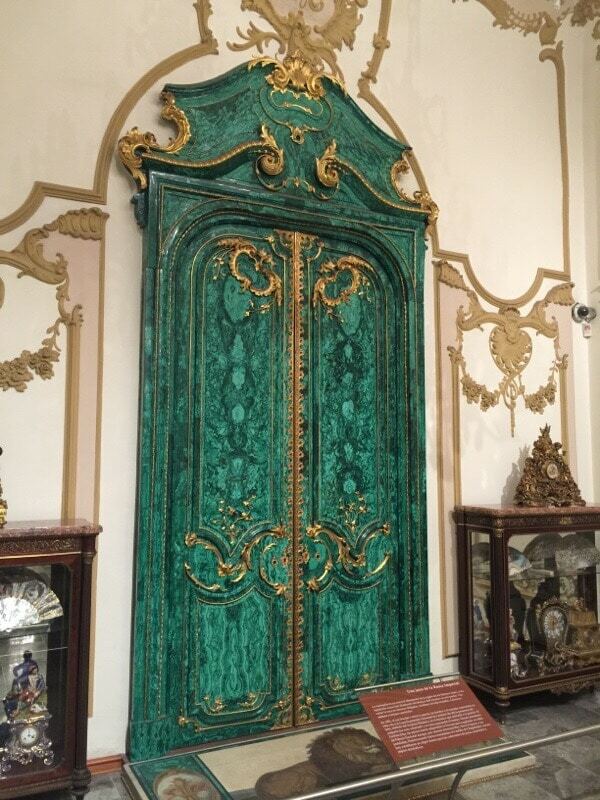 So, yeah, this would be Baroque. 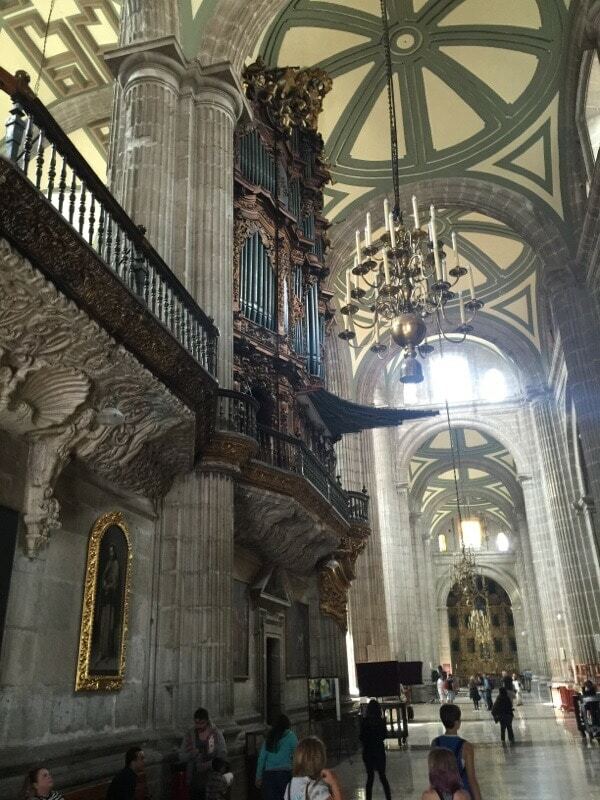 This is so hard to see but bear with me: under the main church on the square is an entire AZTEC TEMPLE! Are you kidding me? You can barely make out the steps, with pretty tiles laid in them. 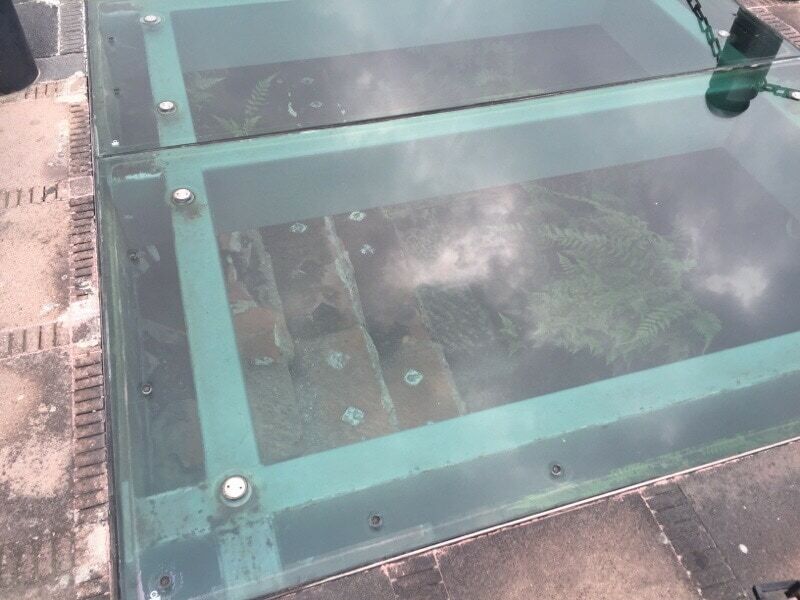 Plants were growing too. OMG! We hopped off at (read: avoided the long bus line and took Uber to) the Museum of Modern Art. It was small but mildly interesting. We loved this piece. 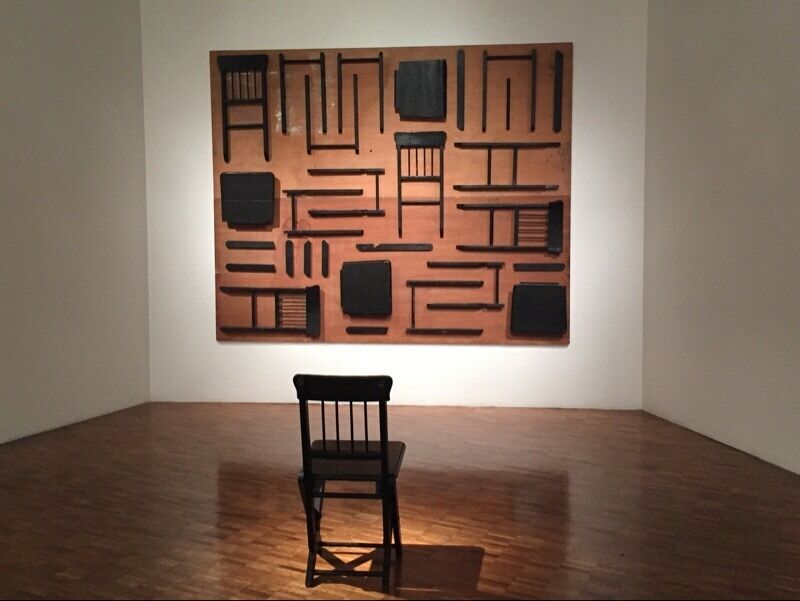 It’s the chair version of naval-gazing, maybe? Some of the interesting stuff wasn’t officially on the bus tour. 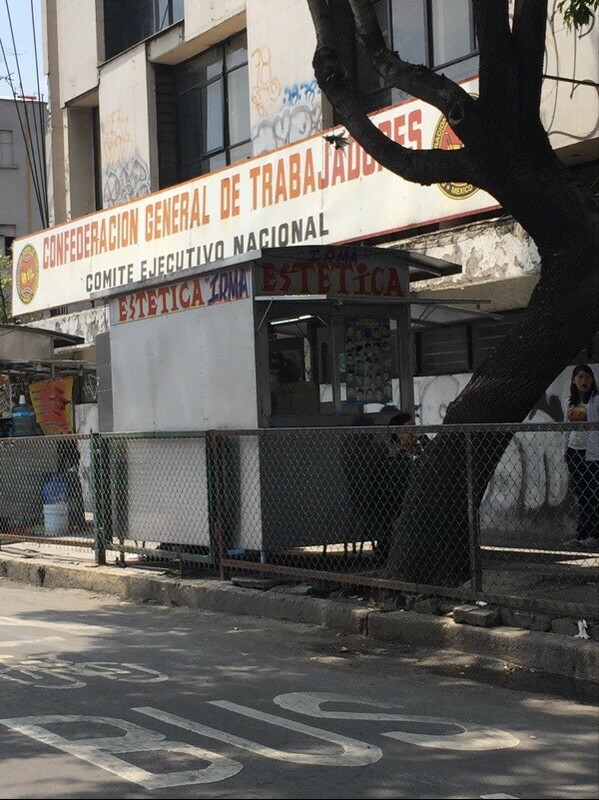 This looks like a food cart or magazine stand but it’s actually a hair salon. Keeping overhead low so your profits can grow! 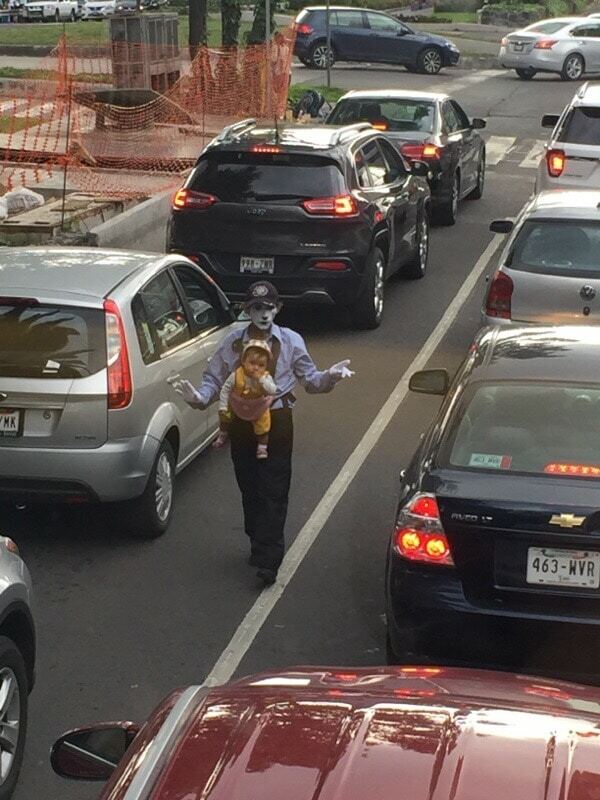 Street performers are common but men with babies strapped to their chest? Notsomuch. It was a real baby, it moved. I can not imagine it’s lungs from the car exhaust. Maybe he got enough tips to go home after a few minutes? I hope so. Did you notice the title of this post says “Part 1”? Yeah, that means there will be more. But I thought this was enough for you today. So stay tuned, we’ll make another coffee date again soon and it’ll be bueno.